Throughout 2018 and leading into 2019 Bitcoin (BTC) has continued to find new lows in not only price but transaction fees as well. 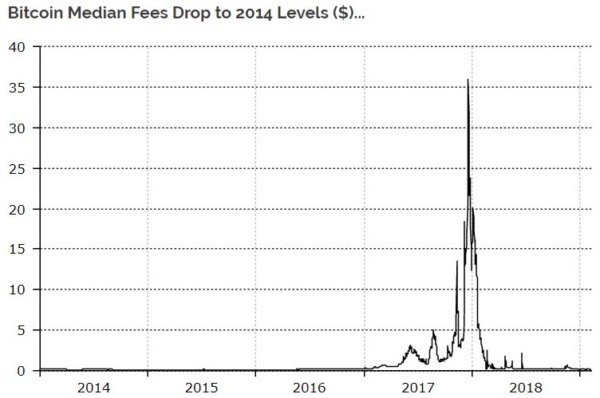 As Bitcoin hovers around $3500 and tests the $3000 range, transaction fees are at new lows not seen since 2014, according to a new report published by Diar. 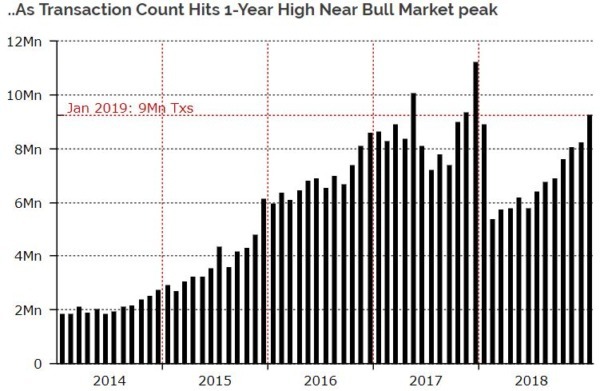 Though Bitcoin transaction fees are at their lowest levels in over 4 years, the number of Bitcoin transactions has reached a one-year high last month in January, nearing levels seen at the peak of 2017’s bull run. In addition to reporting the high transaction throughput and low transaction fees for Bitcoin, last month Diar reported cryptocurrency exchange data showing that many achieved record transaction volumes in 2018. 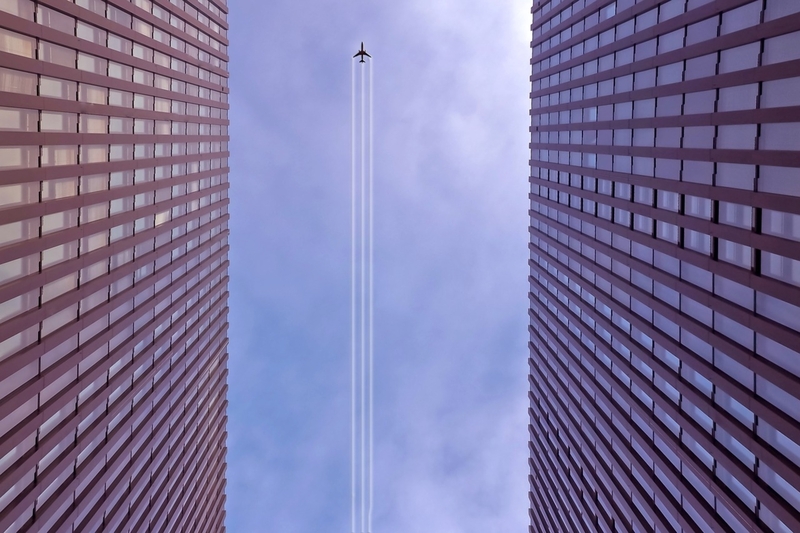 Major United States-based exchange, Coinbase saw their US dollar trade volume increase by 21% in 2018 from 2017. Over the same time period, other crypto exchanges including the Kraken saw increases of 192% and Bitfinex saw a 50% increase. However, as previously reported by IIB, crypto exchanges kicked off 2019 with the lowest trading volume levels seen in 2 years. Binance, the world’s largest crypto exchange saw a decrease in their BTC/USD market trading volume of 40% in the month of January compared to December 2018. Other major crypto exchanges reporting low trading volume at the beginning of 2019 include Coinbase, OKEx, and Gemini. However, the month of February has already seen spikes in volume across the board and is expected to have a better turn out than last month, in terms of trading volume. Will Bitcoin be able to maintain low transaction fees when we reach price levels seen in the 2017 bull run? Let us know what you think in the comment section below.